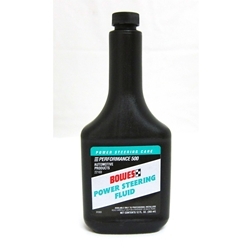 Power Steering Fluid 12 oz Bottle BOWES PS 22169. A high quality power steering fluid and conditioner. Mixes with most factory power steering fluids. Helps stop pump squealing, protects seals and helps prevent unusual wear.